ReadyResults is a complete scanning, scoring, and reporting system for viewing and controlling your assessment results online in a secure environment. We suggest using a display resolution of 800 x 600 or higher during test administration. The ReadyResults scanning, scoring, and reporting system can be used for in-depth analysis of student and group performance. View results for multiple assessments on a single report. Customize iews and create quick reports for all users to access online. Total control over the student records database. View how current students performed last year to inform instructional planning. Filter results by special demographic characteristics for RTI initiatives. Access to results can be controlled down to the teacher level. 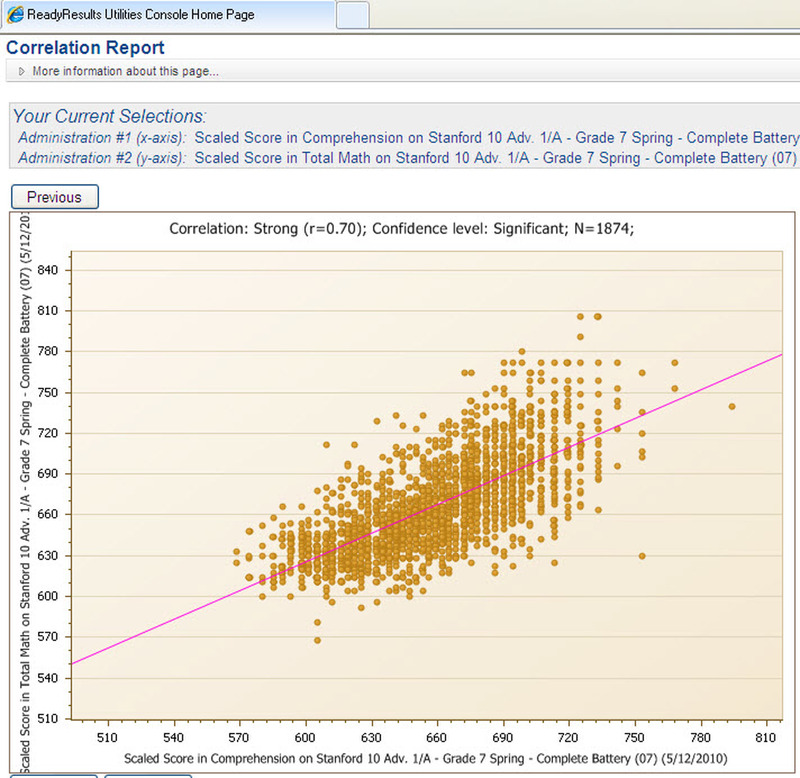 Importing data for use with ReadyResults can be accomplished in more than one way, depending on the assessment itself and your choice of methods. 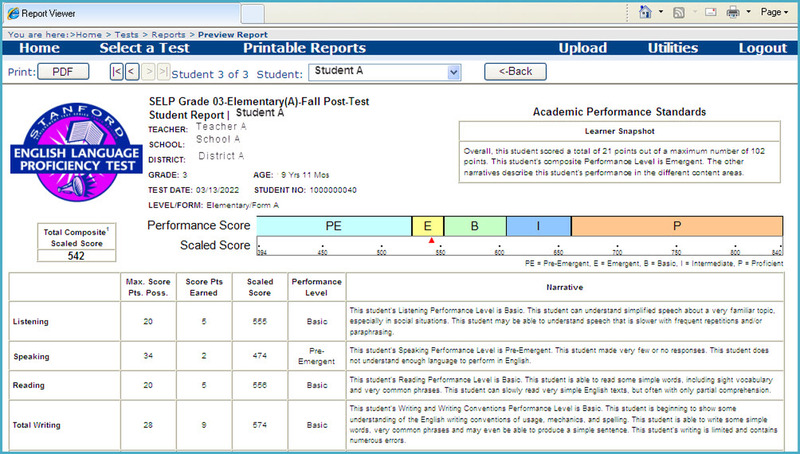 View results on multiple assessments by individual student, class, school, or district. 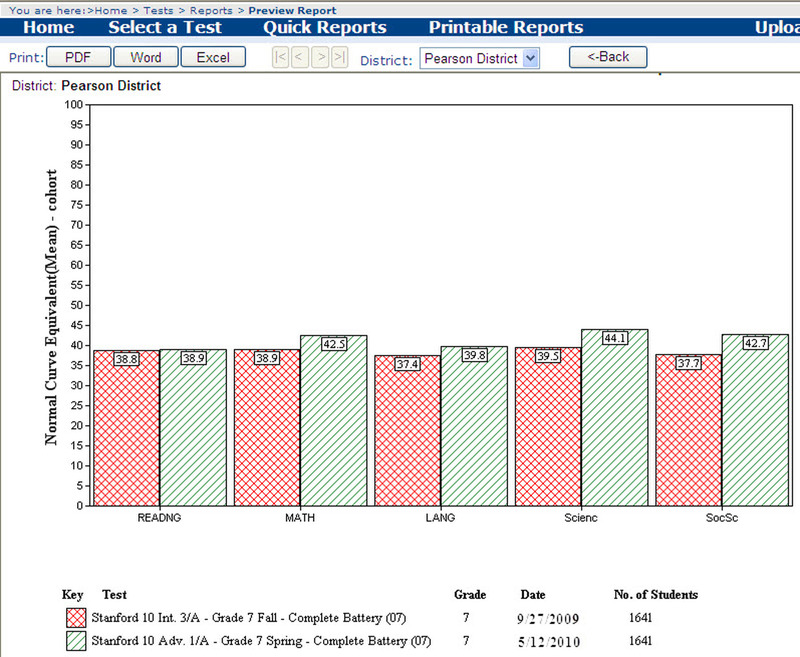 Choose to view graphically multi-year results and track the same group of students or track performance over time of a given grade. Learn if there is a correlation between any two subtests on the same test or on different tests. View narratives for the Stanford ELP and Stanford SLP tests. The following resources are available for ReadyResults.